Sally's Window of Scraps . : OOPS!! Sassy Cheryl's has a fun Challenge going on - Belated Birthday!! Not to say it's fun to miss a birthday, but it is fun to choose an image that expresses just how sorry you are that you are late - the Sassy Sally image says just that to me: OOPS!! 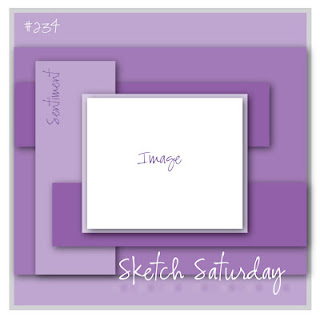 I used the Sketch from Sketch Saturday along with papers from LotV Nit Wit Collection. The image is colored with Copics, cut out and mounted with Pop Dots. I also added three little purple roses from Recollections. Love this fun sketch! the perfect design to showcase this darling little sassy gal! 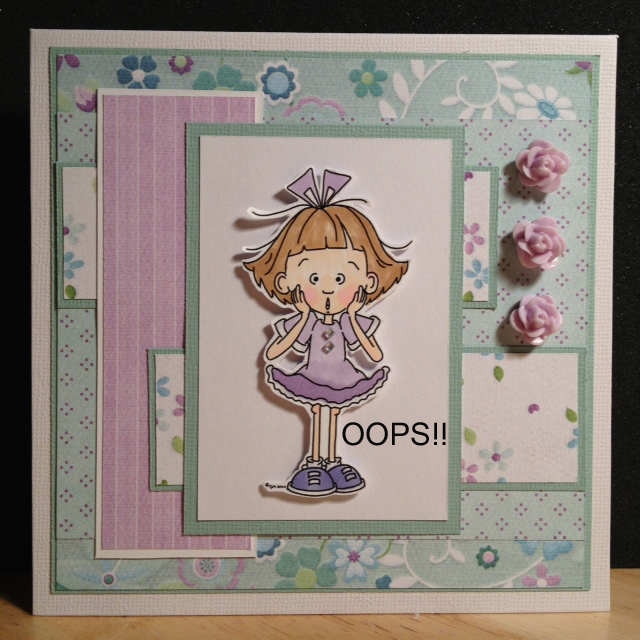 your coloring has brought her to life - love the soft colors! Thanks for joining us for the Sassy Cheryl challenge this week! Well Sally, you certainly picked a good one! Fits a belated b-day so perfectly! Love , love, love it. It's beautiful! Thanks for playing in the belated birthday challenge this week at Sassy Cheryl's. This is so stinkin' cute! Love this cutie patootie! Beautiful card design. I'm so glad you joined us for the Sassy Cheryl's Challenge this week! A gorgeous card Sally, thanks for joining us at Sketch Saturday.